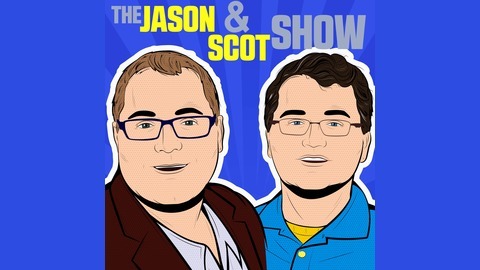 Jason: [0:24] Welcome to the Jason and Scott show this episode is being recorded on Friday February 22nd 2019 live from the etail West Trade Show here in, somewhat Sunny Palm Desert. I'm your host Jason retailgeek Goldberg and unfortunately due to travel issues Scott couldn't be here today so you're getting twice the Jason for half the usual cost, Kira detail one of the big topics of conversation has been new retail Concepts that are blowing up and so we thought. What better guess to have on the show then one of those Concepts so today we have the president of thredup, Anthony Marino on the show welcome to the show Anthony. Anthony: [1:08] Thank you Jason great to be here. 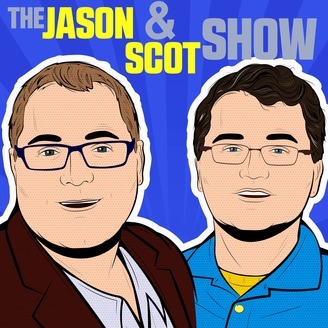 Jason: [1:09] We are thrilled to have you long time listener that the show will know we always like to start by getting a little bit of background about the gas so I can you tell us how you you came into your role. Anthony: [1:18] Sure so I've been at thredup about 6 years. And I came to thredup it's it is actually an interesting story I came home from work one day six seven years ago and my wife had a big green polka dot box on our kitchen table. And that was a threat of box, and she reached into the box Sycamore have to show you something and she reached into the box and Sheepshead of unfurled this very good-looking cashmere sweater. And she said I bought this for a box and I was like okay and she said this is a $500 cashmere sweater and I was like. Okay and she said and it's used and I was like what and so she then told me the thread up story where she had sent in a bunch of our kids and her clothes to thredup. Credit. The shop on the site from sending in her stuff. She could have cashed that money out but she kept it on thredup the shop and she bought this amazing sweater that was used a great deal and she said to me you need to go work for this company. And then about six months later we moved to California I was renting a house in the East Bay my kids were crying cuz they missed all the friends in New York and a big adventure in an e-commerce marketplaces in retail and second hand started for me. Jason: [2:37] Wow so decide note I'd be really focused on your wife's new interest in shopping habits if they're going to that directly affect your career. Anthony: [2:45] Yeah she's she's she's a smart smart person so I listen to her advice at least that's what I say publicly. Jason: [2:49] I feel like we exactly we all benefit from marrying up so used to it but let's jump into the threat of story little bit like down and give us the the rundown on the value prop. Anthony: [3:03] Yeah well that the the founding story precedes me by a couple years are founder and CEO James Rinehart look into his closet and just saw a closet full of clothing that eat that he didn't want to wear, but all the clothing was in was in fantastic shape and I think if you. A few fast forward to today where Marie kondo is encouraging people to the spark Joy by removing things from their homes that they don't use or don't love anymore, his inside in his closet and on that one day many years ago and in Cambridge Massachusetts turned out to be something that millions and millions of people were experiencing as if they bought a lot of things that they weren't wearing or enjoying the fact those things, making them feel guilty or unhappy because they were taking up space and they were reminders of mistakes from purchases past and he said I want to figure out a way to, I make it easy for people to easily get rid of these things know that they're not going to be wasting their for destroying the Earth and getting into the hands. And and that was really the birth of thredup it was how to help people, clean out and make amazing you so the things are no longer wearing a particular women's and kid's clothes and then provide amazing deals for the people on the other side of that equation for whom those fought those were amazing finds there are Treasures. Jason: [4:17] That's awesome so if I like to read repeat to see if I get it right basically you're a sort of a two-sided Marketplace for Consignment so, people that have stuff in their closet that they come to regret or in end of usefulness for them they send those to you, you go through a process on board those keep the ones that are resellable and wisto's on a e-commerce site that consumers can then shop for like a high-value products at meaningful prices. Anthony: [4:48] That that's right about there's about twenty-five to thirty five thousand Brands listing on thredup at any given moment there's 2 million plus items on the site. And they're up to 70 80 90% off retail and there in like new condition so it's the things that America has in its closets are. Beautiful but for the most part of what the vast majority are and we take those things that come to us and we we price them and attribute them and photograph and put them online so it's super easy with a person who wants to clean out, and then for the person on the other side who wants to buy great brands at great prices is just as easy as shopping do you want any other e-commerce site. Jason: [5:25] Awesome and I have no trouble imagine that there's a super valuable merchandise and all of our closets that we don't use I imagine not everything in our closet is super valuable and I feel like there's some remorse about what happens to that like I'm guessing you're going to tell me you have a good story for how you disposition the stuff that maybe isn't as hell. Anthony: [5:46] Yeah where are our goal and our commitment is that you know we have a 100% reuse goal and commitment for the items we receive so there's a couple things we can do. With items that people send to us that aren't high enough quality to be listed on our site or in one of our stores or with one of our Retail Partners so what will we can send those things back to them we can say hey, after the animatronics app you can you can pay a little bit and shipping and will send them back to you by the way most people. Do you know they do that only wants they that they don't want to see it come back again or like wait how'd that happen why did I do that and then there are some things that we can. I'll distribute through our partners who can sell those at consignment stores that don't have the quality standards that we have, some of those things can be recycled into carpets and and if you've ever gone to the car wash those those Rags that they use to dry your car off those fibers can be recycled into into other future fight future Fabrics, and I'm so yeah that's that's how we do it. Jason: [6:47] Got you and what are things that seems cool about your model to me. 2 fundamental problems you have with a lot of marketplace models are that you have trouble guaranteeing a service-level so I went eBay matches a buyer to a seller, they can't necessarily guarantee how fast that sellers going to ship the goods to the buyer, and they're also can be a trust problem the eBay can't necessarily guarantee the web the sellers selling is authentic in in the condition that the, the seller promised it's in so you can send it to me you feel like a two-sided Marketplace except you handle all the logistics and fulfillment so you basically can guarantee a service level and you also act as a sort of independent trust verifier that gets to see all that merchandise before the consumer buys. Anthony: [7:31] That's exactly right we are the we are the seller of record you know so we take possession of the goods we have for distribution centers throughout the us and we're increasing our volume of those, are those items are upcycled did an incredible incredible volume I mean we will, up until today have a vial cycled over the past couple years over 60 million items this year alone will do another 30 million so. Yes we take possession of the goods we make sure there in like new condition we photograph them and put them on a hanger and then we can ship them in a beautiful box wrapped in tissue paper and and send them out to our buyers and they are. Generally Blown Away by the quality of the product. Jason: [8:10] And so does all that merchandise that you've received an unloaded within a single fulfillment center somewhere in the US or out of the Majestics work. Anthony: [8:17] It lives in in for facilities in a distributed across the u.s. And we do all kinds of interesting things TARTA route inventory and product to different centers depending on supply and demand and how the overall market place is performing but yeah those those four facilities process all those items, for sale online and offline. Jason: [8:38] Got it and is everything in the Fulfillment center available for sale right now or do you try to I can almost imagine you get a lot of new merchandise from Spring cleanings and there could be a lot of fall merchandise in or winter merchandise in that and in that stops or try to sit on any of that or how does that work. Anthony: [8:55] You mean how do I optimize for seasonality. Jason: [8:57] That's a way more elegant way. Anthony: [8:58] So so so it's a great question because it's a really tricky math problem because think about it from from the consumer's perspective, they don't necessarily want to go into the closet to be like is this fall is this spring is this winter all they see is too much stuff. And they want open up a bag or open up a box and put it all in it and and move it out so. [9:23] All of that said you know we've been at this a while and we have millions of Sellers and when a seller sends you a box of stuff there's an incredible amount of data that you know about that seller their sizes their brands. What they're what the what the what the what brand items are moving into versus clearing out of as you get multiple bags over time so we found that there are ways. To influence what the what the seller will put in their clean-out bag to thredup and it has a can have a significant impact so, we are we are we work with wood sellers in a way that's this pretty light touch but the people generally want to do the right thing if they feel like, they can put a few extra more seasonal things in a bag and maybe learn a little bit more because we'll see faster cell to run an item that's it's perfectly in season we want to share those economics and incentives with sellers we're not heavy-handed about it, we try to use our data and what we can do on the types of people who you request bags from that helps us, can we just want to make it as easy as possible for sellers but yes we are everyday getting more and more seasonally relevant I think it'll actually be. [10:35] Don't forget I think if I think ahead and 6-12 months I think you'll see the the seasonal element of our site really really kick out cuz we're. We have so many billions of data points on this now that we're actually starting to figure it out. Jason: [10:48] That's awesome and I can come and there's this healthy tension on the one hand you really like to sanitize that person to only send stuff to you that you know you're going to be able to sail and is highly monetizable and like frankly that's going to let you come back to that cellar with the best news hey we got you a bunch of money I can imagine there's a subset of your sellers that like. Appreciate the money but there's some catharsis bike again for your earlier Point their Marie kondo followers or whatever in there that you aren't a, new better way to get everything out of my closet than the Salvation Army was last season or something like that and. In a way you don't necessarily want to discourage those people because 10% of what they send you is going to be exactly what you want you're just going to, after project lights out in general do you try to get people to just any of the 10% that you're going to resell or are you happy to take everything because it makes you more seller friendly. Anthony: [11:47] This is something that how we treat. Salaries in how we think about their experience and why they they decide to order a front of clean-out bag has been. Something that we've always wanted to be very very clear about from the beginning cuz you're exactly right do you want them to only put. Perfect things in the bag or do you want to shove everything in there and there's real trade-offs you know them or prescriptive to get with people the more they'll be like to know what this is a little bit too hard but if you just let him do put anything in there then it then it becomes hard for us and I think what we. Decided in general is that we want to make it really easy for consumers and let us as a as a business that is built on, reverse Logistics and data let us figure out and become the most amazing company at figuring out how to make the best use of those goods and monetize them in a way that's great for suppliers great for our consumers and great for the environment, so I think that has been our our our challenge you know but I think we've come a very long way and look there's always. There's incredible benefits over the long term for making things easy for consumers and if we're the company they can figure out how to crack those problems. Then I put you in a very powerful position to build quite a moat around that that volume the quality of the supply that customers are going to send you. Jason: [13:07] That's awesome let's talk about that reverse logistics for just a sec because it is funny in apparel. I've been in this industry long enough to remember when it was like oh no one will ever buy clothes online like they need to fit everything and feel everything and obviously that. That. Could have been disproven but it is the case that the economics of e-commerce prepare alarm or challenged in some other categories largely because there is such a high return rate right and you could talk to most retailers and it's like me and the return rates are tripling and those returns are so expensive though it just takes of getting that stuff back and then how that retailer. Dispositions that can they resell it is new what do they do all of those problems most retailers would say we're not very good at it and it's a core fundamental challenge with our economic model and I'm looking you and it's like, that's your business is convincing people to send stuff to you so I'm curious like a view if you found a Magic Bullet like what what is the experience and how do you how do you tackle that that sticky reverse Logistics challenge. Anthony: [14:12] We found the Magic Bullet is to be extremely transparent with your customers so we love to say to our customers when they call customer service or when they write in. That there's no such thing as free returns you're paying for it somewhere you're paying for it in the product or paying for it in your membership fee you're paying for it somewhere it will be like to see the customers is our goal was a business, is to be able to list online. The greatest volume of high-quality second-hand apparel at the lowest possible prices and we will be explicit with you this is what it cost for us, to take that item if you send it back to us and put it back online whatever cost $0.50 or $0.99 whatever it is and so if you send those items back to us. [14:58] It's going to cost you this but we also say to our customers hey if you are shopping with us and you don't seem to return a lot. When it will never charge you a return fee if we then we bought but by equal measure will say to customers who buy 10 things and return 9, hey we we see you but you been doing this, we love you but you're killing us and so what we're going to do is we're going to give you a one more free V but if you keep returning 90% things you buy we're going to have to start the charge you a dollar 99 per item to restock it so, we just want to be really upfront with people about the reality of the business and. Is yours a good news about returns they affect everybody equally they're equally miserable for every e-commerce company so what this forces us to do is just have the best possible product you keep the core proposition it's got to be in a bang on as far as the brands we are for the quality of the product the selection daily freshness and pricing so forgetting all that right. Then we should be able to sustain returns if you can't then you got to figure out a different business model. Jason: [16:03] Got it better in general it sounds like you almost have a dynamic pricing model based on customer Behavior but you're super transparent about it. Anthony: [16:11] Very transferred there's no mystery maybe call him we call you use your level return policy and. Looking to maybe some customers who we say you know what you eat we see you're returning a lot if you want to pay 999 a month. And you can return as much as you want then then we'll offer that to you so I think you I think we just got to think about and see where you're going to meet them where they're at and left with them about what it takes for us to stay in business if they love the product to be like you know what I get it, it's like I don't know actually returning nine things back to you until we actually created a product called a buying bundle, we're and we found a lot of customers were buying lots of things and they were paying shipping from you know from us to get the stuff sent to them and then returning stuff in the way back, we gave them its ability to, can I purchase things we didn't ship it to we have critical mass of their items on the site and then they would they would avoid the the shipping fee until there's things you can do when you understand a job your customers trying to do, then you can start to say okay I see what you're trying to do here is what it what it looks like on our end and hear some here's some options on ways we can, we can make it work for you and Mike brought work for us we're big fans of that we we love experimenting with things like that we think it's the way he Commerce has to work. And yeah there's no such thing as free returns. Jason: [17:31] So one of the fundamental challenges usually have with a two-sided marketplaces is you have to win at two things you have to convince a bunch of people to be sellers on your platform and you have to come in too much of people that want to buy goods from your platform on most resided marketplaces the strategy is usually to be great at one of those which, facilitates the other if you get a ton of buyers it's easier to get sellers if you get a ton of great merchandise it's easier to get buyers like in your case have you found that there's one side that you absolutely have to win at or what what is the strategy around customer acquisition. Anthony: [18:02] There are really two so that the needs and the in the complexities of the marketplace of significant they're very different on both sides and so so what start with with suppliers generally speaking. Are our core supplier the value proposition is the clean out the closet in a really simple way and to feel good about it and so we've invested a lot of time and effort, and delivering on that value and so suppliers come to us in droves we we do not have a difficult time attracting suppliers to thredup in one thing I think, people are often surprised to hear about our businesses are like well okay so they come once you know when do they come back like in 2 years I'm like no they come back in like 3 months, because they go out and they keep on things so it's not it's not as if they clean out their closet and their I'm good you know they're good like until the next season rolls around so. So that side of the business is very viral and it drives itself. [19:03] And for us we spent a lot of time and effort understanding at the really at the at the at the user level you know how to get the best Supply I had to get it at the right rate how to manage that with the with the overall growth and scale of our Marketplace, on the demand side little bit different there's lots of places in the universe for people to buy inexpensive clothing. If you are looking to buy a $8 dress you can go to Walmart if if you're looking to buy an $8 J.Crew dress little bit harder so we we've learned a couple different things on the demand side which is the, are Brands matter customers love. [19:40] Defined the brands they love and trust and who's quality they believe in at great prices and the fact that it's second hand is almost incidental to them, if we can maintain the quality part of the equation that they don't even I think they actually probably forget that they're shopping second-hand I think another thing we found, that app that that our customers love on the demand side which is a key part of the value problem I'll come back to you that your acquisition point in a second, is they love to see new things. Every day we have customers would love to see new things on thredup every hour and they come back that that much they're hitting refresh if they're going to their app that much because not unlike their Instagram feed, we're all day long we're listening 60 70 80 thousand fresh items every day so if they didn't see that dvf wrap dress, or that Banana Republic jean jacket, that they were looking for right away if they come back in an hour at the rate which were processing Goods to our system but there's probably something there that's if not V things are looking for it's pretty darn close so that's a very powerful part of the demand side proposition that makes it look a little bit different from being just you know hey I'm looking for a great value on clothing and I think the final thing is. One thing about Millennials and and younger Shoppers these days is that they never want to be seen on Instagram wearing the same thing twice. [21:01] But at the same time they they don't want to be conspicuous consumers they don't want to feel wait so about what they're doing and thredup is is an interesting solution to that problem because they can. They can scratch their x444 wardrobe that can move at the speed of their feed, but at the same time they can take those things put them in a bag send them back to us and feel like they're part of the solution and not part of the problem. Jason: [21:26] That's why I make sense you you hit something in the in the course of that explanation that it just occurred to me, another word justice problem you have that maybe more cute than a traditional retailer is your onboarding a heck of a lot of new SKU so like I'm pick and and you're not in most cases getting content from the manufacturer, The Whispers queues so I'm picturing you up to have like, high-volume photo studio and people riding a lot of like attributes for product listings is that. Anthony: [21:58] Yes and went when when a bag or a box of nice a box because. You can do the way that to send items that start out as you can go to our website a request to clean out back and he's someone to you for free it's a recyclable bag about the size of a camper and a big green polka dots on it and it's, I'm very cool or you can just print a label because we know that people have boxes from all their other e-commerce shipment sitting in the doorway of their house and we like to get up the opportunity to have a slightly smaller compact soap. [22:27] Yes people send these stuff to us our customers suppliers send these items of clothing toss and he's bags and boxes and when they come out of a bad they don't announce themselves they don't have a barcode they don't have asked you it's literally a pile of clothing and so what we have built, over the past several years through through tens of millions of transactions is the ability to take you know his ability to take those items and begin to attribute them their brand or size their measurements and do some of this with software and we do some of this with people, because it's it can be hard to teach, a computer what an acceptable level of fading is on a black shirt you know so there's only certain things that humans at least right now and can. [23:10] Certain things are computers going to leave Divine so well so people still have to do it but yeah we've built a system where we can take all these items to come out of the bag on an ounce of with no information. And attribute them as we attribute them those items magically transform from being stuff in a bag that was essentially value less are worthless to the person who wanted it shipped out of their house to becoming an item that, with every attribute that we had brand size increases in price from 51020 to $30 is now its 8 now it's a fully formed living fresh item of clothing again to someone in the universe, and so. That's how we do it we don't get data from anyone we we we built all those systems in house and we are able to do characterized and categorize and photograph you're right we have we we probably take more, photographs on a on a daily or weekly basis than any retailer on the planet and that's how we do it. Jason: [24:06] It's a going back to the customer acquisition for buyers I think of you as a digital native company you you've been around for awhile now you have six years of history and I see this, kind of consistent progression that every new digital company launches and based on their value proposition that there's some amount of organic traffic that they can acquire super easily and in fact there's this Pitfall in the first year you see this nice hockey stick of growth and you think it's going to keep happening for the next six years and unfortunately for most digital companies it doesn't like they grow fast to a certain point and then they start to plateau and depending on their value prop that Plateau could be 60 million dollars in sales that could be a billion dollars in sales it almost doesn't matter but what happens after that. It certainly requires a lot more effective marketing to acquire new customers and so I'm curious six years and I'm kind of assuming you're either at that point or you've already surpassed that point and what are you doing now to acquire customers and how's that working. Anthony: [25:07] So your ear right I mean that we've been through those Cycles I mean I remember the days of 00 those days of yore when you know spending money on Facebook or Google, was was easy and satisfying but, you're right you get to a certain scale and those auctions get more more competitive, and you need to start to do two things you need to diversify, the way in which you reach customers because on up if you're trying to build a predictable business. Were you can where you can grow smartly quarter-over-quarter you can't just keep turning up the Facebook and Google dial and assume that the Matrix are all just going to continue to work so you've got to figure out a way to to grow efficiently by doing different things, in addition to doing the old things better and better and then the second thing you need to do is, and you just have to run a better business I mean if you would have that you're putting more product online or renovating, the types of products are the types of solutions you deliver to customers based on what they're looking for or it's whether it's their margins Mansion to you you in the early days it's easy to be you know when twin growth, is is easy it's very satisfying to investors in to employees it feels really good but as you as you get to the further down that funnel. Need to think more holistically about the business to figure out how to grow I mean I think I think for us we feel that. [26:36] A real change has happened you know since we started the business six years ago and how we how we think about. Second hand clothing and resale and how frankly how the hole. Retail of retailers are thinking about it I brand you think about the beginning our vision was hate me know we're always going to take. The items that we that we the supplier sent to us in front of them were going to sell them on turn up., exclusively and what we started to see. [27:03] Is that customers are saying to us look at you you know 1020 30% of my closet. Is second hand clothing so it's 8 you note ever going to be a hundred percent but this is how I shop now I buy some things new, I buy something second hand and I want to be able to find this product in more places it you know it's and it's sort of, it was it was it was a very exciting part of learning for us to your customers start to say that. Because it was clear that we had moved from oh yeah there's only this certain type of customer that buy second-hand to being actually. Over 10% of our customers are millionaires so there's a broad range of people demographically psychographic Lee that just wants a great deal and I want Brandon it doesn't matter if they. I need to based on their budgets or not they want to because it feels like a smart thing to do and they're saving money and they're getting the product they want so on the customer acquisition point. [27:56] We're finding that you're so we open for of our own stores, and we're working and running some tests with some department store is where we have stores in stores where customers are actually, thrilled to find second-hand product that's that says that has the quality in the freshness and the brands that we have in places where they shop every day and it's it's it has the potential to drive younger Shoppers into these, offline physical stores that want these younger Shoppers you want these Brands and want this type of experience I want this type of content and it gives you the ability for us, 2801 Des dollars in in in point of distribution that I thought that isn't just Facebook or Google or TV or instagrammer all the other well-known Performance Marketing, channels that we love but that as we try to try to expand in a T Bar vision. Inspiring a new generation of Shoppers to think second and first you have to be where they are and they're not exclusively on on Facebook. Jason: [28:56] Sure and I want to drill into that brick and mortar tactic for just a second do you tend to think of those stores as a. The separate Channel or separate p&l in that like hey I'm going to invest a certain amount of it fixed inventory that's going to sit in that one location and I'm going to measure how how much money is made off of it or, do you think of it as a true marketing customer acquisition expense that causes you know a lot more eyeballs to become aware of thredup and then, you know maybe buy from you across any channel down the road. Anthony: [29:27] I think over the over the long term. You need to make the case that these are powerful marketing vehicles and that they're really accretive to your overall. Acquisition in Gross that you need a lot of them so you know if you have for like we do it's it's still early days for us there but I think in the end you know until you have a critical mass, you can make the case in Excel you know any of us could do that but you know any early days I think our view is that the stores have to perform. And they have to perform on their own without having to factor in the unreasonable. Gino synergies you know that everyone who walks by is a vis a Steno it's worth $100 CPM he does so so I think for us it's a it's a blend and it's a matter of you know the time frame. [30:19] But I think it's pretty phenomenal if you can have your own stores, and the stories can stand on their own financially and you can put the right product in them at the right price and draw you customers into the store and some returning customers and if customers can bring a thredup clean-out bag into the store and drop it off or pick one up. So there's that there's a number of service functions that we can perform in that store that. Are really accretive to the business but the early days look make make those things make those things work, and then I think yes overtime I didn't mind he would be then you could start to lean into out what and what an amazing Symphony you have between your online marketing spending your and your retail visibility. Jason: [31:00] Yeah that makes total sense that just triggered a follow-up question are you. Like you have any Partnerships around drop off locations like I could imagine, you know like we were coming or places like that where you you could imagine hey there's a bunch of Millennials that are working here let's make it super convenient for them and drop off his back. Anthony: [31:20] Yes State stay tuned so those are things that are that work we're getting a lot of inbound interest from Brands and retailers where they want to work with us to essentially. Sanda a threat of turku branded thredup and we're doing this with Reformation now where where you can wear their customers can get their hands on a Reformation clean out bag and then Reformation customers can put, a bunch of the clothing they're not wearing from their closets in that bag that bad comes to us but then the customer gets shopping dollars to shop on Reformation. So what's up so it's a really really nice way, to make a Reformation front of mind for customers when they're cleaning out the closets and then they're not only front of my man customers are cleaning out their closet thredup has been putting Reformation dollars into the customer's pocket to go and spend the Reformation so it's a, it's a really powerful way for a retailer brand to get rate right up front and center when a customer is empty no shelves in their closet and you know the next thing they're going to do is, stack them up again with new things. Jason: [32:20] Yeah I said that's interesting cuz you can imagine the first time a retailer sees the thredup, e-commerce site it could be competitive in it feel like that's a clever pet pivot to make them you feel like any incremental partner instead of a direct competitor, how did the brand feel about you I do they hate the fact that you're you're you have ads on the internet for their stuff at a lower price point than they like or do they like that it makes their customers feel better. Anthony: [32:46] It's it's it's evolved dramatically so when when we got going on this when I started at thredup. 18 on the early day 6 years ago. [32:57] Retailers Workwear little bit puzzled and and you know they didn't they didn't pass their brand didn't pay it much mind because where we know where we were teeny and I think with the change that's happened. Is that these brands have seen that this is going on anyway so if you go to Facebook and you go to a a Facebook buy sell trade group and you can find. 1500 moms in Wisconsin who all they do is trade Children's Place dresses you can find thousands and thousands of those you could go to eBay you could type in pick your favorite brand you'll see tens of thousands of items they can come to thredup and you'll see tens of thousands of items so the, their resale economy is happening and it's growing it's growing faster than retail in a couple weeks we're going to. Release our annual resale report what we put in all the stats around how the industry changing and I'm so we can I can send that to you. So the point is it's happening in the difference between the early days when retailers and Brands were like huh and now is that the retailers are brands are starting to come to us and say okay. It's happening is there a way we can work with thredup to participate and. It's a win-win and I'll go back to the Reformation partnership we have where. They they they put a clean-out bag in their customers hands or they getting their customer can print out a label. [34:24] They clean out the closet and they get credit the shop so it's great for us because we get terrific Supply from those Reformation customers it's great for for RAF because they get Revenue what we're finding is that. If a customer gets $100 from their their bag that they sent to thredup they spend far more on reformation and that hundred dollars right they they they think of that hundred they got for the clothing they didn't they were no longer wearing is almost free money. So and then it's great it's great for the customer because they the cleaned-out closet they feel like they're interacting with Brands who are doing the right thing so it's it's a it's a win-win-win and. We expect over the next two five ten years to see hundreds and Brands doing this many retailers doing this because consumers are saying second hands are part of my life. It went and Marie kondo has been a great push to remind people that hey you don't have to buy something and hold onto it forever you're not buying it for ownership you're really buying it. For use and I'm in so we we think we're one part of that story and we think we think smart retailers and brands are going to want to be part of it too. Jason: [35:27] Interesting so it's funny I have the saying that a lot of readers don't love hearing but my premise is, but it's getting harder and harder to make a living selling other people's stuff and I would argue in a way that you're more insulated than most from that because. Well you're selling other brands products the version of that you're selling I would argue is partly is yours at that point because it's no longer, you know once you that a manufacturer made 30,000 of it's a unique skill of one task you have one with a unique value proposition and a bunch of unique attributes. But that aside the way this plays out in general is most of the big retailers that used to be 90% wholesale, are increasingly making their own product and leveraging their customer intimacy to make products that the manufacturer didn't see until like 8, apparel space I think of like a cat and Jack from Target is being a phenomenal success probably super early days but I read that you guys are starting to use some of the data you have from your customer base to venture into product manufacturing as well is that do I have that right. Anthony: [36:36] You do we we we tested something and we continue to test it called remade and it's essentially a its new product. [36:46] I think you can buy on thredup app but it comes with essentially a buyback guarantee so you you purchase it on thredup. And we say look if you were trying to toss in good shape will give you 40% of your money back. And so you may wonder why did we why don't we make new stuff if if second-hand is. Is our bread and butter and I think what we wanted to understand and we're still understanding it is is there a group of customers out there their segment of consumers who were like hey I like I like this whole second hand thing. And and I and I and I need to to buy something you but. I get it is this an easy way for me to try it out you know can I buy something new that comes with this buyback guarantee. And it said if I can Ava way to onboard a new type of customer who may not otherwise want to just come to the site and buy something, they may want to buy it new and then so and I think it's it's been pretty remarkable to see how we can use the data we have on what selling what's trending, and then come up with you know I A A handful of items and it's not really a line there's a wrap dress in there and there's a floral top and there's some there's some pretty specific. Items can we can we take that data create the right things and then attract a customer who otherwise may not have purchased on thredup. [38:10] And I think we're still evolving it and we're still learning but you're right the whole move towards private label is massive amongst retail and for us we're just trying to get as many people thinking. Second hand first and we're always experimenting with new ways to do that. Jason: [38:28] That's interesting I haven't thought about that as a sort of trial customer acquisition tactic that's clever and I also, there's a few brands that are like using customer data to invent products and I think I have a stitch fix is an example of a company that lets weaning into that. So when I read that you're doing it on like oh yeah that's cover they're selling some stuff they know the address to the stuff they're selling they see what the browsing behavior is they can leverage that data to make some products, during our conversation that occurred to me you actually have a ton more data about those Sellers and like. Everything that's in their closet and what they kept and so it is interesting it's a pretty, potentially valuable data set in the long-run so I'll be looking forward to seeing how that all plays out I want to wrap up with one question cuz we're running time on time, we are here to Big e-commerce show and you you were talking on a panel about the next big things and Retail Concepts that are taking off do you have a sort of view for the future if we come back to the show and five years like what is that you Commerce industrie going to look like then. Anthony: [39:31] I think what we'll see at least it as far as the the thredup growth plan and the trajectory we're on is I just think you'll see amazing second hand Prada. Everywhere you'll see it in more places you'll see it across more brand you'll see a more integrated into the ecosystem I also I also think you'll see more rental product I think you'll see. [39:54] Packages are our poor offerings like Stitch fix you don't continue to like where your way into America's closet so I think. If you think of the closet of the future which we do a lot and if in the past that was up there was a massive chunk for department stores and then a bunch of little specialty stores I think those chunks the Departments are junk is shrinking a lot. And off price has grown a lot TJ Maxx and Ross another to give brands at great prices and daily prices and then I think you'll see folks like us, who do resale you'll see folks who do rental you'll see I think you'll see all these different modalities or shopping start to expand their share of that closet, and like our hope and our mission is that it should be great for consumers it should be great for the environment, we're a very mission-driven company and where we never forget the fact that the clothing industry is second only to the petroleum industry and being a polluter, and sell it we we we we love at least the idea that we can try to be on the right side of history on this and the more of those brands in those concept expand their way into closets to make. To make us all live a little bit better as it could be a very satisfying world to be in. Jason: [41:07] That is awesome and that's going to be a great place to leave it because it's happen again we've used up all our a lot of time as always a folks have questions for Anthony or want to keep the conversation going and could you to jump on her, page and we'll be happy to respond to you there if you enjoy the show this is a great time to jump on the iTunes and give us that five star review, but Anthony of Whispers want to reach out to you or get involved in thredup in some way like what's the best way to reach you guys social media or LinkedIn. Anthony: [41:35] But yeah we're in all those places on on Facebook or on Twitter or on on social on LinkedIn yet reach out with we'd love to hear from you. Jason: [41:44] Awesome we'll put some of the songs in the show notes and thanks very much for your time Anthony was real pleasure to chat with you. Anthony: [41:49] Great Juicy J. Jason: [41:50] Until next time happy commercing.